Various styles of 9ct gold pendant, filigree heart pendant with chain and cross pendants.9 carat solid gold pendants in different styles. 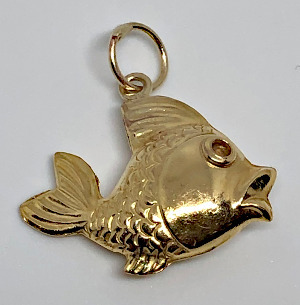 9 carat yellow solid Gold Common Carp design Pendant hanging from pendant bail attached to tail. Hand made in the UK and fully hallmarked 45mm drop length Carp Fish Pendant. 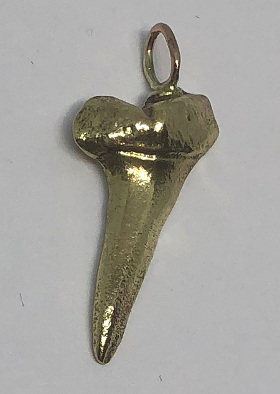 9 carat Gold solid Shark Tooth Pendant 28mm size. 9 carat GOLD CROSS PENDANT set with CZ Stones. 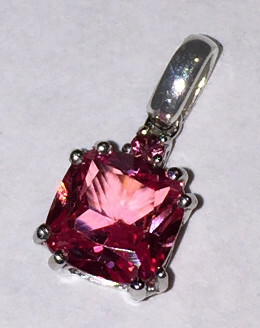 9 carat White Gold Graduated Pink Sapphire stones curved Pendant. 9 carat hollow Gold Boxing Glove Charm/Pendant. approx drop 20mm Medium size. 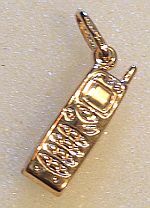 9ct yellow Gold Mobile Phone Charm or Pendant. 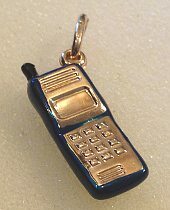 Large 9ct Gold Mobile Phone design Pendant or Charm with very Dark Blue colour Enamel detail. Popular modern Mobile Charm with charm or pendant loop attached. Approximate size 7mm wide with 27mm drop. 9 carat Gold CZ Sparkling Stone set Lizard design Pendant. 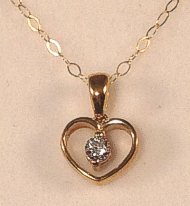 9 carat Gold floating CZ set open Heart design Pendant. 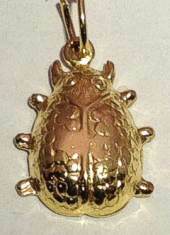 9ct Gold Ladybird Beetle design Charm or Pendant 15mm. 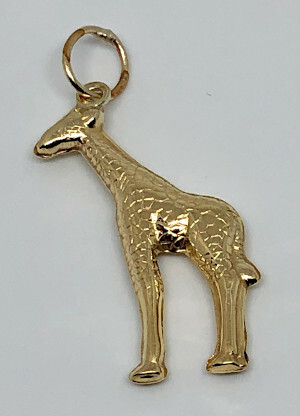 9ct Gold 25mm tall Giraffe Pendant or Charm. 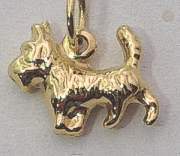 9 carat yellow Gold Dog shape Pendant or Charm 10mm. 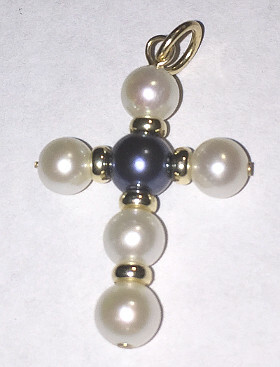 9ct Gold Black and White cultured Pearls 26mm Cross design Pendant. 9 carat White Gold Pendant set with large 6mm x 6mm cushion cut created Pink Sapphire stone and smaller 1.5mm stone set above. Excellent sparkle Pink stone claw set in 9ct hallmarked White Gold pendant with substantial pendant bail. 9 carat Gold Open Heart pendant 17mm size. 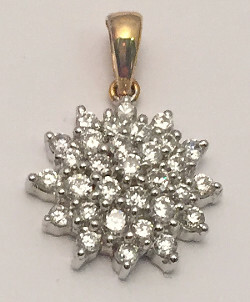 9 carat Gold Large Cubic Zirconia Cluster tiered Pendant. Large size 12mm wide x 18mm drop approx. with excellent sparkle from brilliant CZ stones set in hallmarked 9 carat Gold. 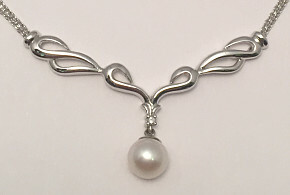 9ct White Gold Necklace with Diamond and Pearl Pendant attached, approx 440mm (17inch) total necklace length. 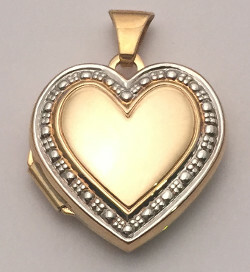 9 carat Heart shaped Locket with pendant bail. 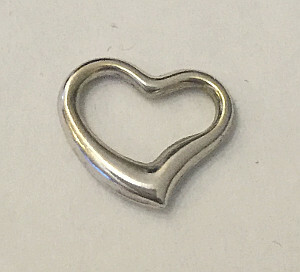 Hinged double sided opening Heart approx. 18mm x 18mm total size Locket. 9 carat yellow Gold Locket set with White Stone finish on front and Pink Stone finish on back. Approx. 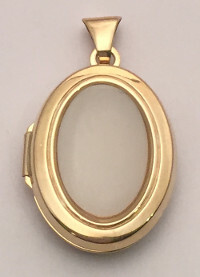 size 21mm x 15mm Oval 9ct Gold hinged double sided Locket with stone finish. 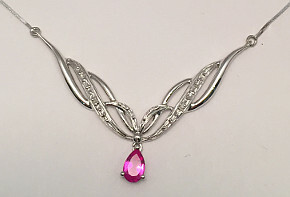 9ct White Gold necklace chain with Pink Sapphire and Diamonds set pendant. 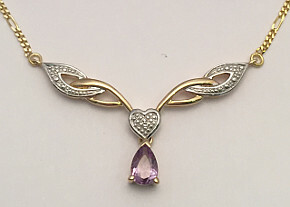 9 carat yellow Gold ladies necklace set with Diamonds and teardrop shape Amethyst stone. 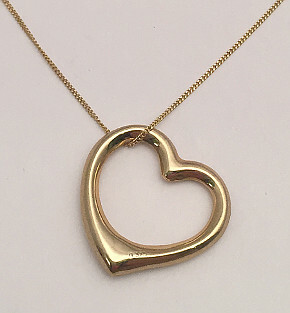 Elegant 35mm wide pendant with Heart detail on 9ct Gold Figaro link Necklace, approx. 17inch length (440mm). 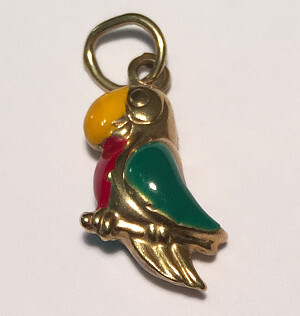 9 carat Gold Parrot Pendant or Charm with colour Enamel details, approx. 18mm size with Jump Ring. 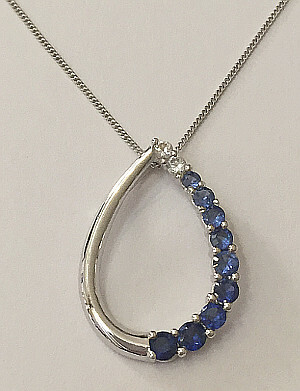 9ct White Gold graduated colour Sapphires set teardrop Pendant with 460mm (18inch) chain. 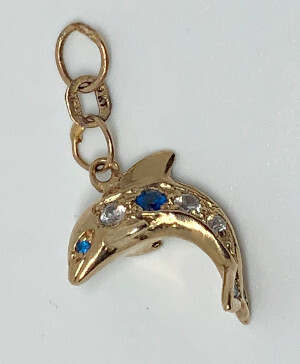 9ct Gold Blue and Clear Stone set 16mm Dolphin Pendant or Charm. 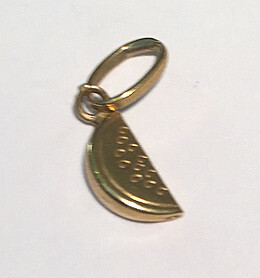 9 carat Gold WaterMelon shaped small Pendant or Charm with 9ct Gold loop attached. Excellent Water Melon charm, approx. 15mm long drop including loop. 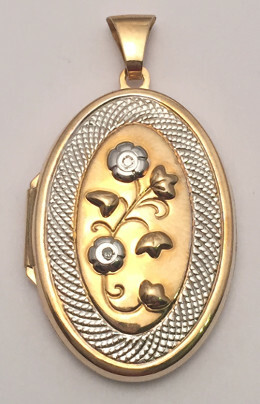 9ct Gold Oval Locket with Flower design and set with Diamonds 22mm x 32mm size. 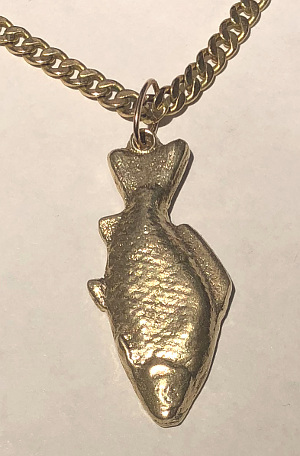 Fish design 9 carat Gold Charm or Pendant supplied with 9ct Gold open Jump Ring for attaching to Charm Bracelet or can be used as a Pendant. Large 18mm size Fish Charm. 9 carat White Gold hollow Open Heart Pendant, 12mm size. 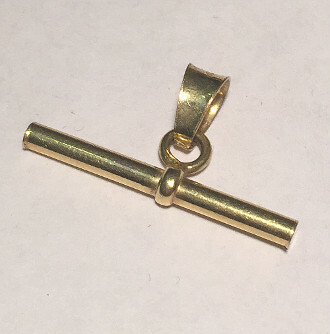 9ct yellow Gold T-Bar Pendant.